Padráig Mac Congáil is from Derry City and has a strong affinity with that city and County Donegal. His greatest interests are the Irish language and History, and he has studied both of these subjects since he began attending Queens University Belfast in 2009. He has since obtained a BA, MA, PGCE and a certificate in bilingual education. He is a qualified teacher and has experience of teaching Irish at every level of the education system. 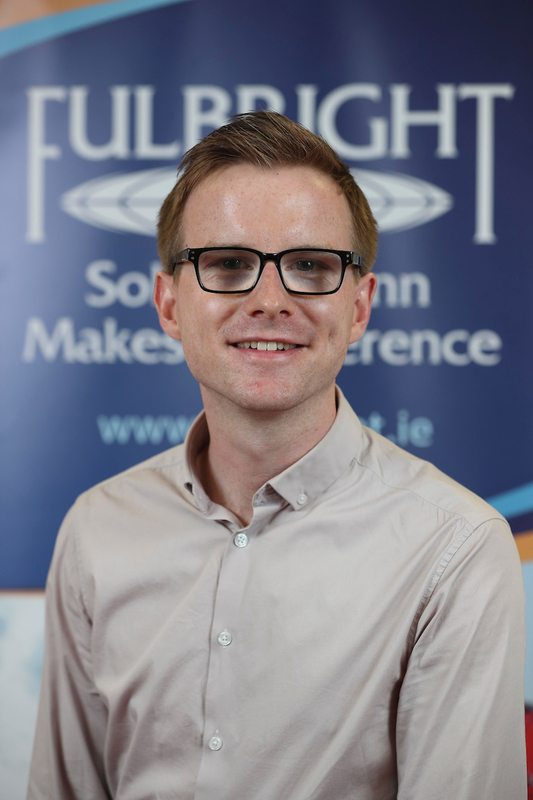 He is currently completing his PhD thesis on Eamon de Valera, the Irish language and linguistic nationalism at QUB. He wrote a monthly column in the magazine An tUltach from 2011 until 2016 and his essays and poetry have been published in Feasta, An tUltach and Comhar. During his Fulbright FLTA Award he teach the Irish language and take classes at Drew University.